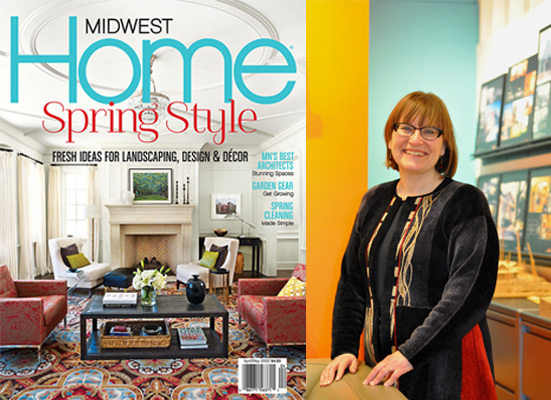 In case you hadn’t heard, Rosemary McMonigal has been honored by the American Institute of Architects Minnesota (AIA-MN) and Midwest Home Magazine with the “Architect of Distinction” award. Once each year this award recognizes one architect for outstanding professional achievement and design excellence. Of course, Rosemary is humbled by this honor and we as an office are all the more happy for her. That said, I must admit that from my point of view, it was only a matter of time. The Architect of Distinction is awarded to the best, most talented and most respected architects. After more than 30 years in the profession, Rosemary has earned it. I have not known another architect with so much design creativity, professional integrity and down to earth sensibility as Rosemary. On top of that, she works harder than the Energizer Bunny. It’s strangely refreshing to hear her admit that she’s actually a little tired at the end of a week. Beyond all of this, her endless passion for service to the community and to the architectural profession sets her apart. Maintaining a work-life balance is also very important to Rosemary. It’s a big part of the reason why she is so successful. She relates to people on their level, where they are and wherever they’re going. Design for Rosemary is collaborating with people to create architecture that enhances their lives. No wonder so many clients continue to be her life long friends. If you haven’t gotten to know Rosemary yet, perhaps you should.